(b Marsango, nr Padua, 1676; d Madrid, 16 Nov 1753). Italian composer, violinist and cellist. The earliest information about him relates to his post in the service of the Marquis de los Balbases, Carlo Filippo Spinola. Cantatas by Facco now in the Naples Conservatory were probably composed when Spinola was governor of Castelnuovo, Naples, before 1707. From 1707 to 1713 Spinola served as viceroy in Sicily, where Facco had arrived by Giacomo Facco: 1705, when he composed the dialogo Il convito fatto da Giuseppe. In Messina Facco dedicated to Spinola the serenata Augurio di vittorie, the dialogo La contesa tra la pietà e l’incredulità (both 1710) and three operas, Le regine di Macedonia (1710), I rivali generosi (1712) and Penelope la casta (1713), the last in collaboration with Pietro Pizzolo. 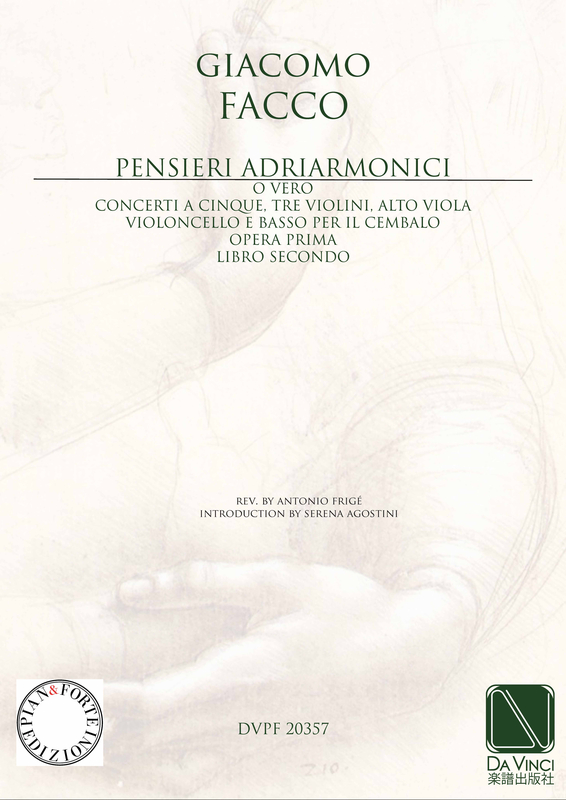 Facco also dedicated to the marquis 12 concertos published in Amsterdam under the title Pensieri adriarmonici. When Spinola returned to Madrid Facco was engaged as a violinist in the chapel royal and music master to the infantes Luis, Carlos and Fernando. His commissions to compose works for highly important court occasions are proof of his fame. The texts of these are by José de Cañizares, and the first of them unites the experience of Facco as an opera composer with the novelty of a Spanish text. Amor es todo imbención: Júpiter y Amphitrión is the oldest surviving score of an Italian-type opera in the Iberian peninsula, and the oldest opera with a Spanish text. An incomplete version was discovered by José Subirá in 1948; a more complete copy came to light in Évora in 1991, and this has made possible the opera’s restoration. The Festejo para los días de la reyna (1722) is a courtly serenata in which the action is resolved by Paris handing the mythical apple to the Farnese queen. In 1728 the new Marquis de los Balbases, Carlo Ambrogio Spinola, travelled to Lisbon to discuss the marriage contracted between the heirs of Spain and Portugal. There he had a temporary theatre built where various musical works were put on: of these Las Amazonas de España was probably by Facco, and a serenata for six voices and the first act and loa of the opera Amor aumenta el valor certainly are (the other two acts have been attributed to José Nebra and Philipo Falconi). Facco is the only musician mentioned in the lavish Fasto de hymeneo (1752) describing the wedding ceremonies of 1729. He had refused offers of a post at the Lisbon court of João V, when the latter was trying to surround himself with Italian musicians, similar to that accepted by Domenico Scarlatti. Facco’s fortunes changed with the arrival of Farinelli in Madrid. He seems thereafter to have been inactive as a musician, and the surviving documents deal only with his requests for payment. Important as a violin teacher, his works were published in collections such as those of Michel Corrette. Six solo cantatas by him survive in Palermo, and five suites for two cellos in Venice. The presence of his music in Latin America is perhaps explained by the fact that Carlo Filippo Spinola’s father-in-law had interests in mineral exploitation in the colonies. Facco was married to Angela Colonna and had at least four children, one of whom, Paolo (b Messina; d 2 Nov 1769), was a violinist at the Madrid court.